Stem cell therapy and other regenerative therapies such as platelet-rich plasma (PRP) injections relieve your back and neck pain by reducing inflammation and healing damaged tissues. Arun Kandra, MD, and Vivek Das, MD, at Premier Spine & Pain Management are on the leading edge of regenerative medicine, as they offer stem cell and PRP therapies to their patients who suffer from many pain conditions. To learn whether you’re a good candidate for regenerative treatments, call one of the offices in New Jersey or Pennsylvania or schedule an appointment online. The practice has locations in Easton, Pennsylvania, and Somerset, Hillsborough, Succasunna, and Middletown, New Jersey. Regenerative medicine is a field that specializes in using the cells that naturally heal your body to treat injuries and disease. Technology has advanced to where your own regenerative cells — stem cells and platelets — can be easily extracted, concentrated, and reintroduced back into your body, where they safely and effectively heal virtually every type of tissue. How does stem cell treatment heal and relieve pain? Stem cells continuously self-replicate. They divide to produce new cells, then the new cells differentiate or develop into the specific type of cell needed to replace old tissues and heal damaged tissues. Your body’s own fat and bone marrow are rich sources of mesenchymal stem cells that can be extracted and then injected directly at the site of your injured or damaged tissues. PRP consists of a small amount of plasma combined with a concentrated number of platelets. Platelets, which are normal blood components, contain the growth factors responsible for healing. The team at Premier Spine & Pain Management provides PRP therapy in the office. They draw a blood sample and then process it in a centrifuge, which separates platelets and plasma from other blood cells. Your own PRP is then injected alone or with stem cells to enhance your results. What health conditions are treated with stem cells and PRP? Considering their ability to regenerate into all types of musculoskeletal tissues, your doctor at Premier Spine & Pain Management may use stem cells and PRP to treat many spine problems and pain-causing conditions. 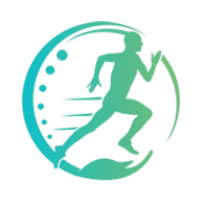 Stem cells and PRP are also effective treatment options for sports injuries affecting your back and neck, whether they’re due to muscle strain, repetitive impact, or other sports-related trauma. 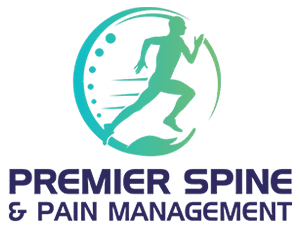 To learn whether your pain can be relieved with stem cell treatment or PRP injections, call Premier Spine & Pain Management or book an appointment online.